See the catch limits page for daily bag and boat limits. River Murray - within 150m of all locks and weirs. Horseshoe Reef - in the area within 25 metres of the reef. Possessing Snapper is prohibited in the Estelle Star, Jurassic Park, Santa Anna and Illusion areas. Do not carry Snapper you have caught in other waters into these closure zones. Closure location: All intertidal reefs to a depth of 2 metres. Learn more about intertidal reefs. Closure location: All waters of West Lakes and Port River (between Bower Road, Semaphore Park and the Port River and North Arm junction). Closure time: until further notice. Closure location: Port River system from West Lakes to Port Gawler, including Section Bank. The taking of all bivalve shellfish such as oysters, mussels, cockles and razorfish is not permitted in the Port River system from West Lakes to Port Gawler, including Section Bank, until further notice. The ban has been implemented to reduce the risk of spreading the Pacific Oyster Mortality Syndrome (POMS) virus that has been detected in feral Pacific Oysters in the Port River. Closure location: Includes all waters north of a line from Newland Head to Cape Willoughby and north from a line from West Bat to Cape Carnot on the Southern Eyre Peninsula. Closure time: 1 September to 30 November inclusive. Closure location: Fishing for Bream is not permitted in the Onkaparinga River upstream of the Main South Road Bridge at Noarlunga. then following a high water mark at the base of the jetty along the shoreline back to the Point Lowly lighthouse. Closure time: until 15 February 2020. Hand nets for the taking of shrimps for bait only in the waters of the estuary and the Onkaparinga River upstream to the Noarlunga Bypass Bridge on Main South Road. It is illegal to target, take or possess King George Whiting inside the closure areas. Why the closure exists: The closures protect King George Whiting while they spawn in these important breeding grounds. It is an offence to lift or remove Murray Cod from South Australian waters. During open season - 1 January to 31 July - Murray Cod can only be targeted for catch and release. Closure time: 1 August to 31 December (inclusive). No trolling from a moving vessel is allowed within these dates, excluding Coorong waters. Closure location: River Murray and Lower Lakes. Closure location: Port River, including West Lakes and surrounds. The taking of all bivalve shellfish (including mussels, cockles, oysters and razorfish) is not permitted from the Port River, including West Lakes and surrounds, until further notice. Closure time: 1 June to 31 October (inclusive). 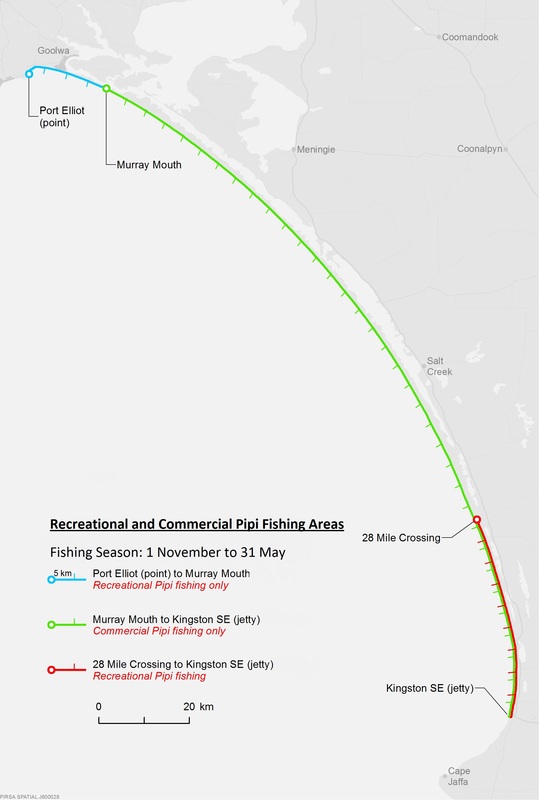 Closure location: No recreational fishing for Pipis is allowed on the Younghusband Peninsula between the Murray Mouth and 28 Mile Crossing. between 28 Mile Crossing and the Victoria/SA border. The taking of all bivalve shellfish (including cockles, oysters, mussels and razorfish) is not permitted from the Port River, including West Lakes and surrounds, until further notice. 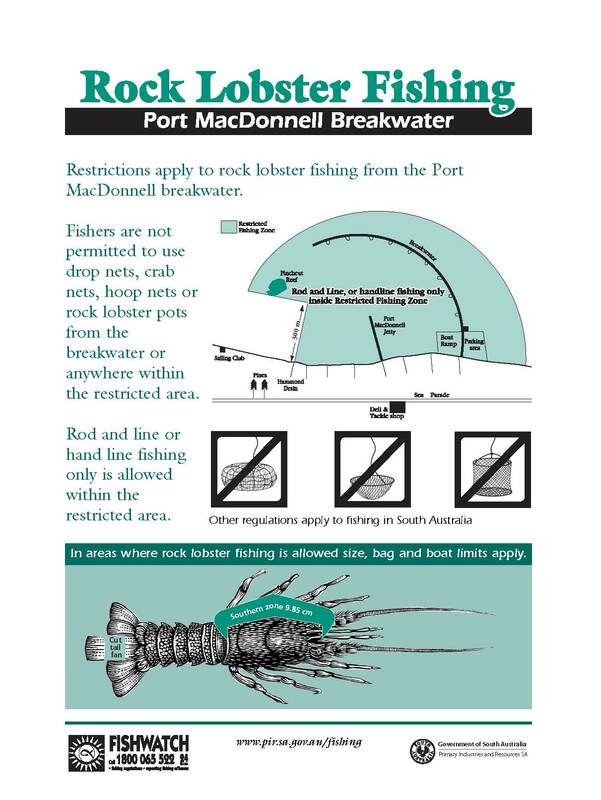 Permanent closure: You cannot take prawns from South Australian waters that are less than 10 metres deep. Closure time: 1 October to end of February inclusive. 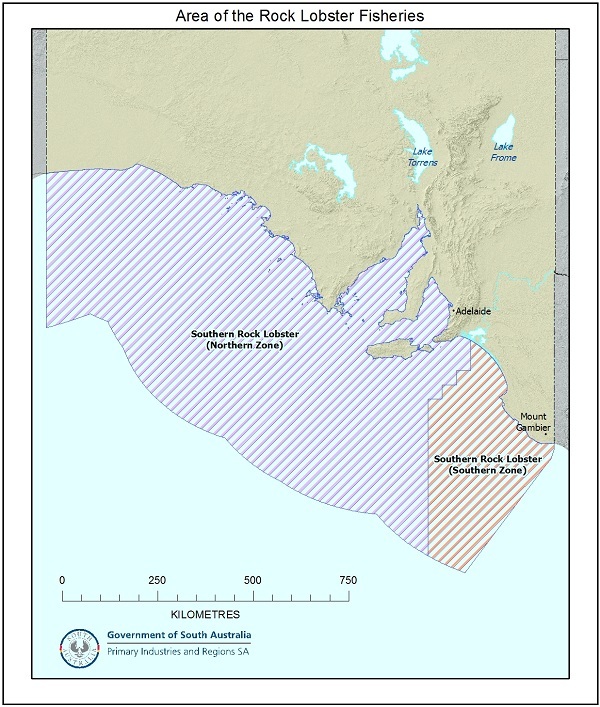 Closure location: area between beacons 8, 9, 13, 19, 20, 21, 23, 28 and the shore of the Spencer Gulf to the West. The taking of all bivalve shellfish (including razorfish, oysters, mussels and cockles) is not permitted from the Port River, including West Lakes and surrounds, until further notice. to 12.00 pm 1 November. Closure location: West from longitude 139°0’4.80” to the Western Australia border. Area includes Kangaroo Island. to 6.00 am 1 October. Closure location: East from longitude 139°0’4.80” to the Victorian border. Closure location: All South Australian waters. Closure time: until 30 June 2019. Closure location: Port River and surrounding waters. The Port River Vongole (Mud Cockle) fishing zone is closed to both recreational and commercial fishing. Closure time: currently open to recreational fishing. Anchoring is prohibited at all times within the reef site to protect reef structures. See the water traffic restrictions Public Notice (PDF 55.3 KB).